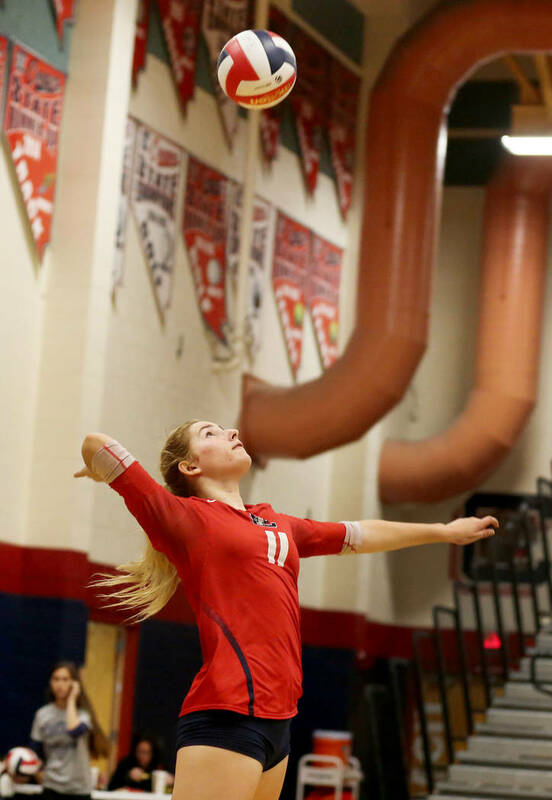 Madison Karcich had seven aces, seven kills and 14 digs to lead Coronado’s girls volleyball team to a 25-18, 25-20, 25-20 home win over Silverado in a Class 4A Sunrise Region semifinal on Thursday night. 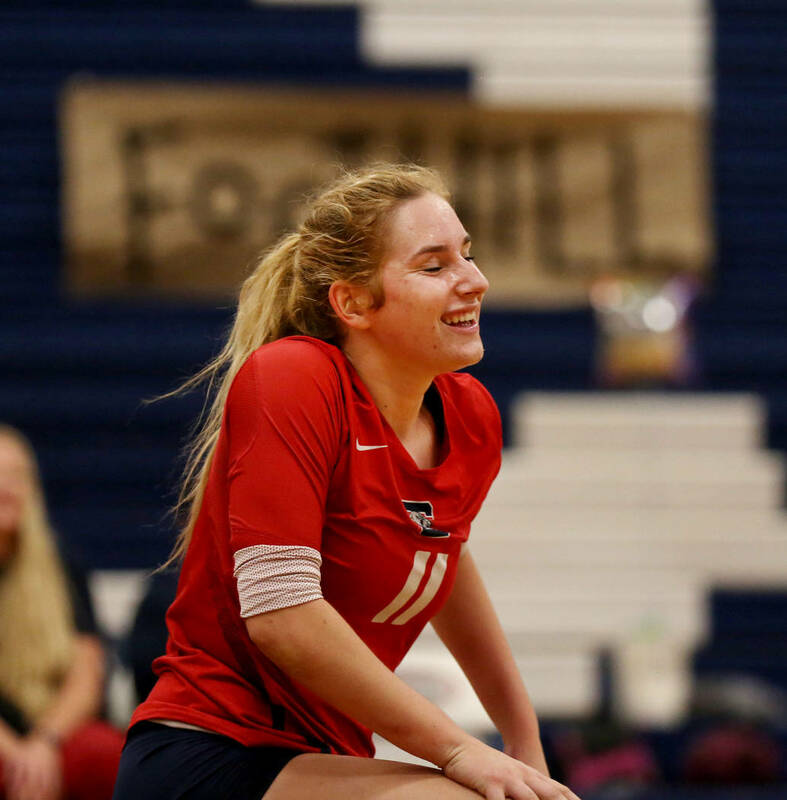 Coronado senior Madison Karcich doesn’t like coming off the court during volleyball matches. 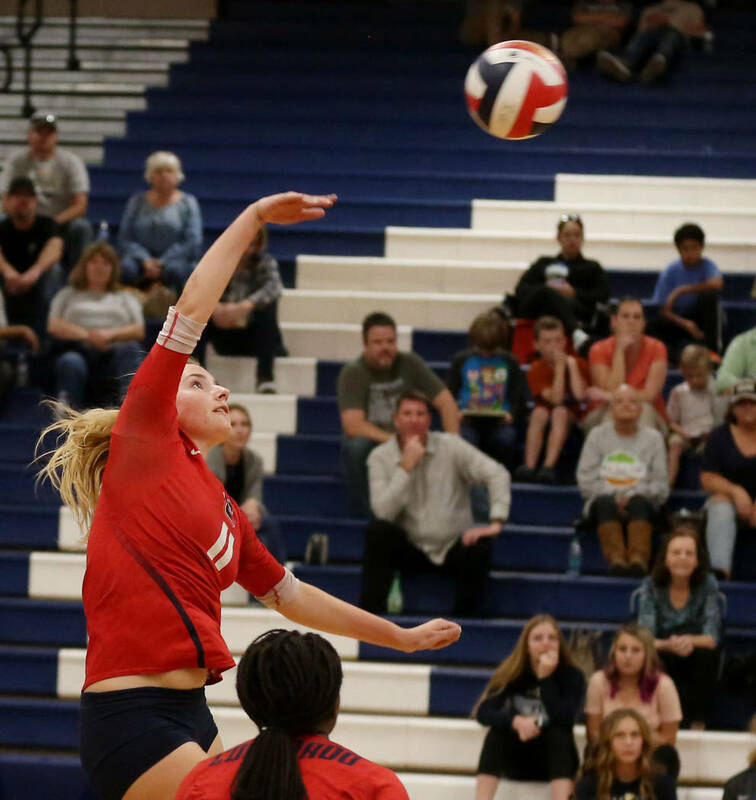 But even she won’t argue with Cougars coach Matt Johnson for pulling her at the back row in recent weeks because of serving woes. 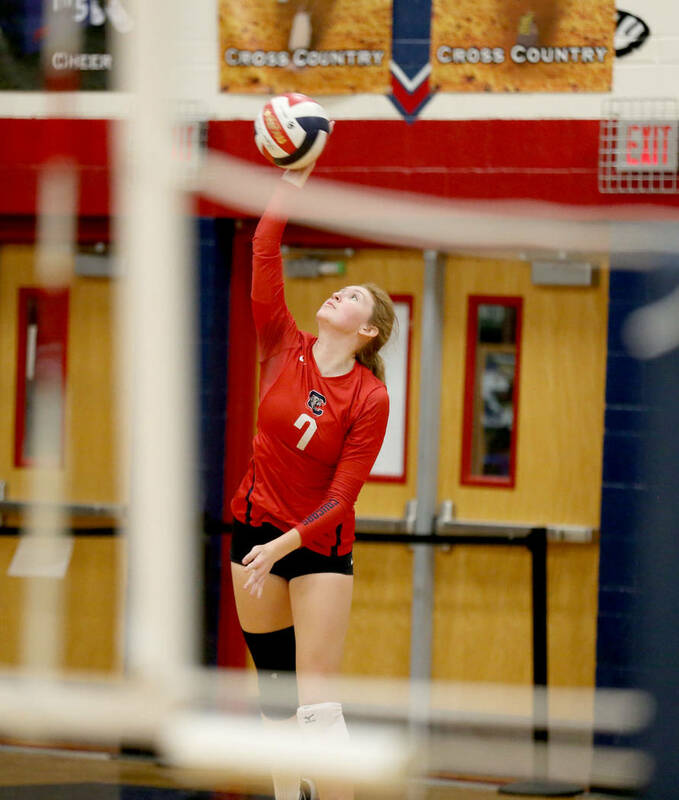 The 6-foot outside hitter could do no wrong Thursday night and was back to being a six-rotation player in a 25-18, 25-20, 25-20 win over visiting Foothill in a Class 4A Sunrise Region semifinal. 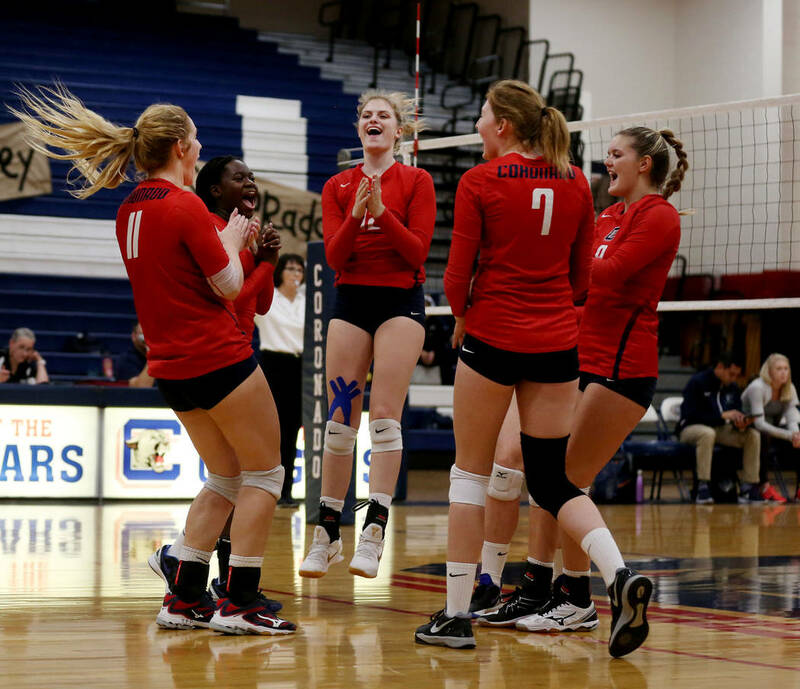 Karcich finished with seven aces, seven kills and 14 digs for Coronado (26-9), which faces Silverado (23-15) in the region final at 7 p.m. Friday at Durango. 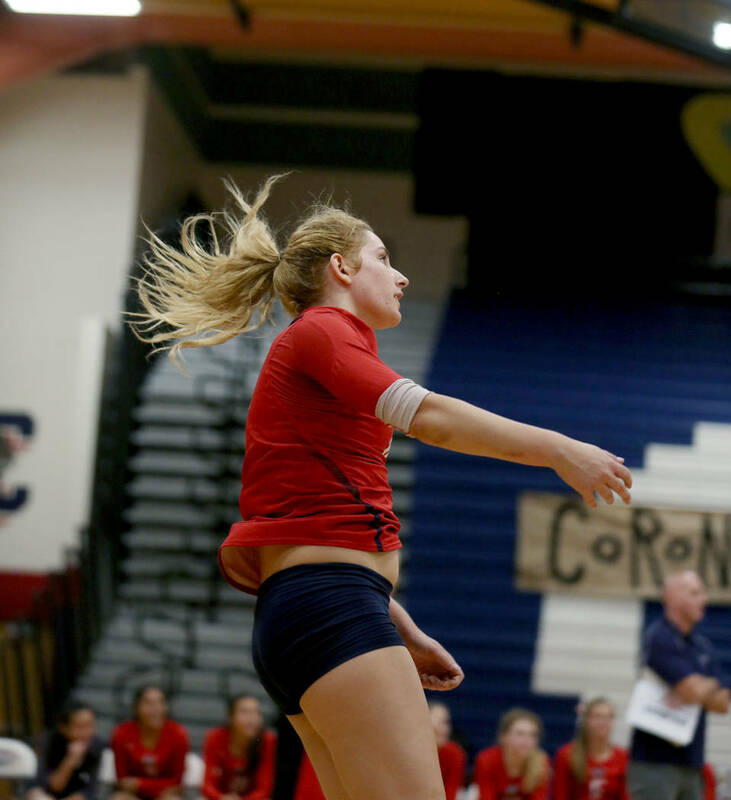 Karcich served eight straight points in the first set, including four aces, to help Coronado seize momentum and a 23-9 lead. 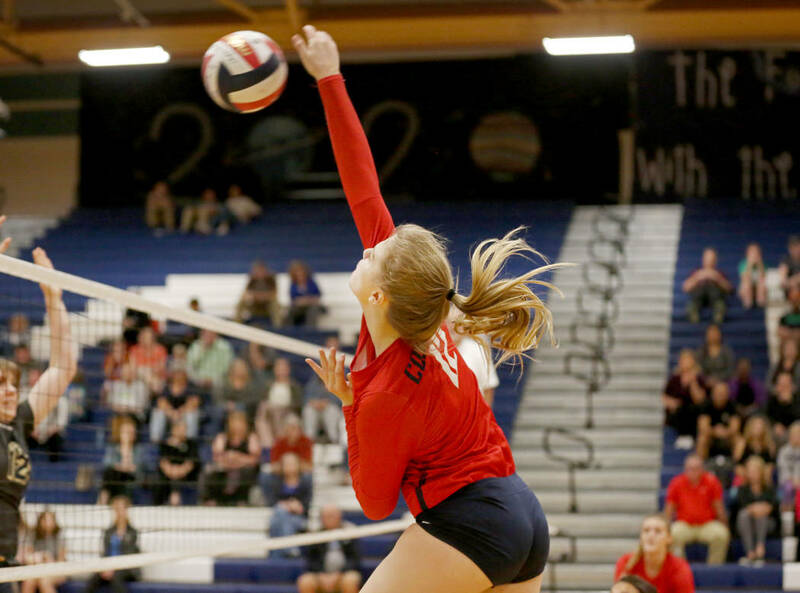 She finished with seven of the Cougars’ 11 aces. 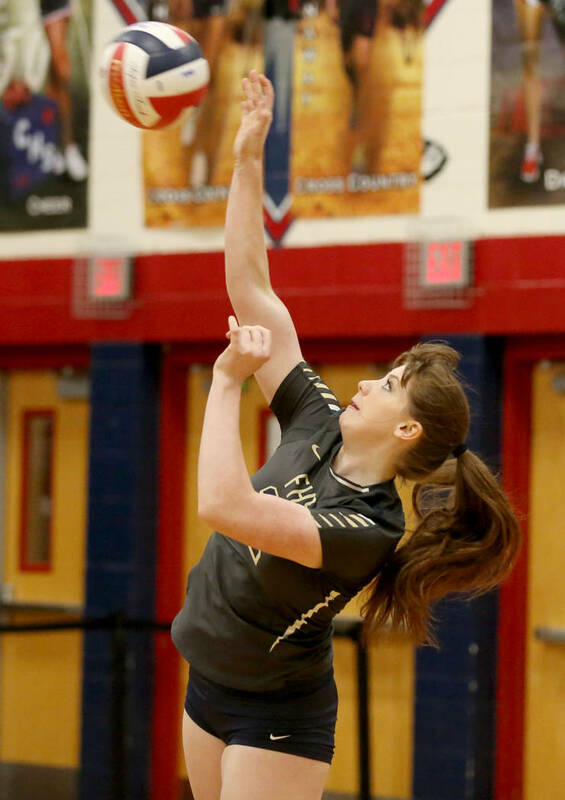 Karcich added four kills and two aces in the second set. 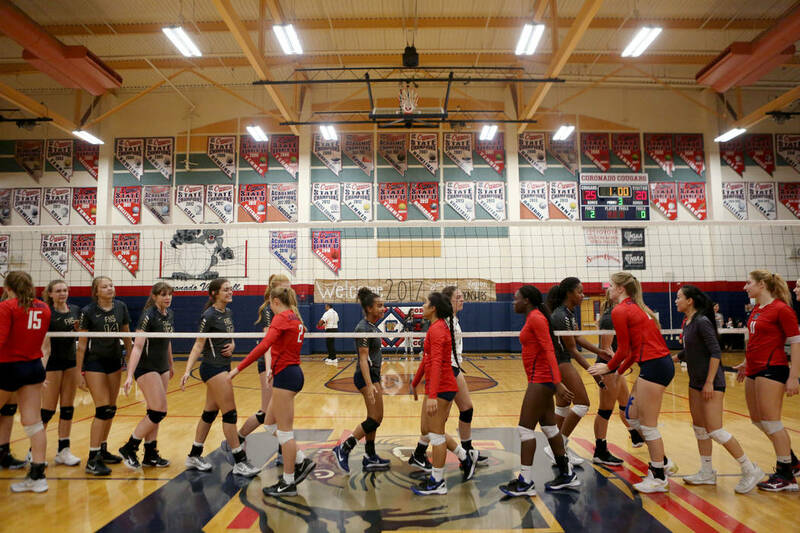 With the score tied at 14, the Cougars pulled away with a 6-1 run. 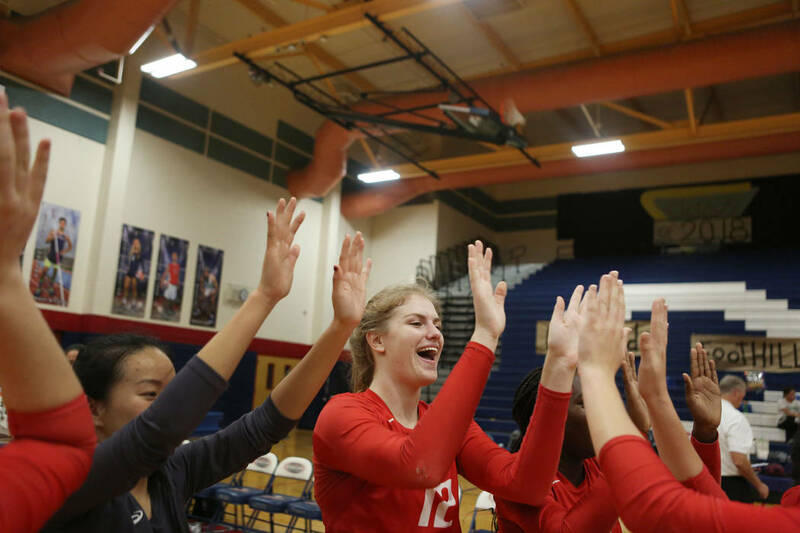 Coronado overcame nine ties and grabbed a two-set advantage thanks to its skyscraping middle of Sasha Bolla and Ashlynn Ammerman. 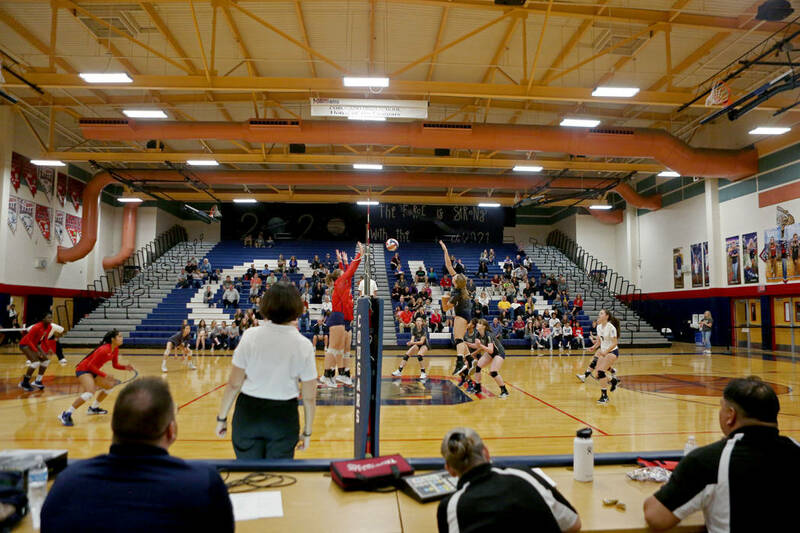 In the third set, Coronado took an 18-8 lead and won the match on a Dallas Balanay-Flores-to-Karcich set. 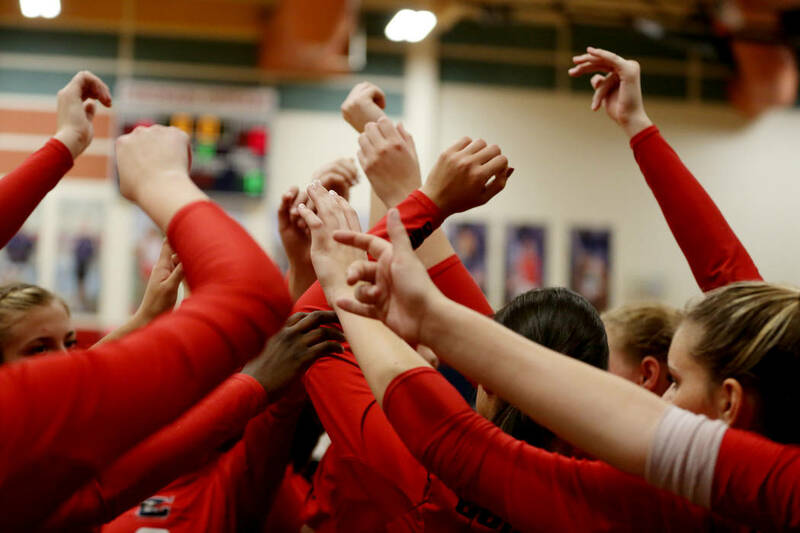 Bolla had eight kills and three blocks for Coronado, which also got key contributions from Shannon Evans (10 kills, three blocks), Morenike Ajayi (eight kills) and Cassandra Smits-Van Oyen (22 assists). 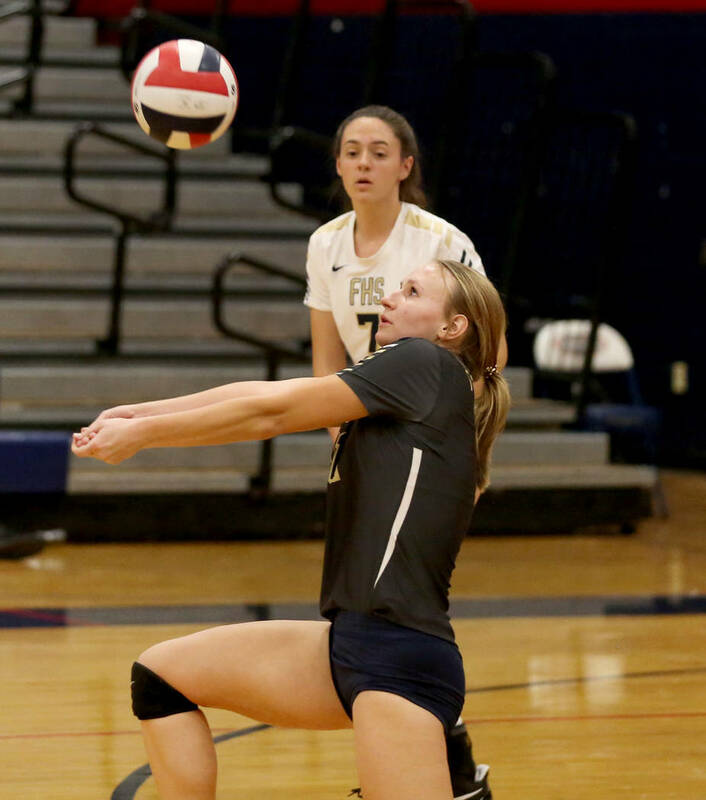 Whitley Brow led Foothill with five kills, 13 digs and three aces. 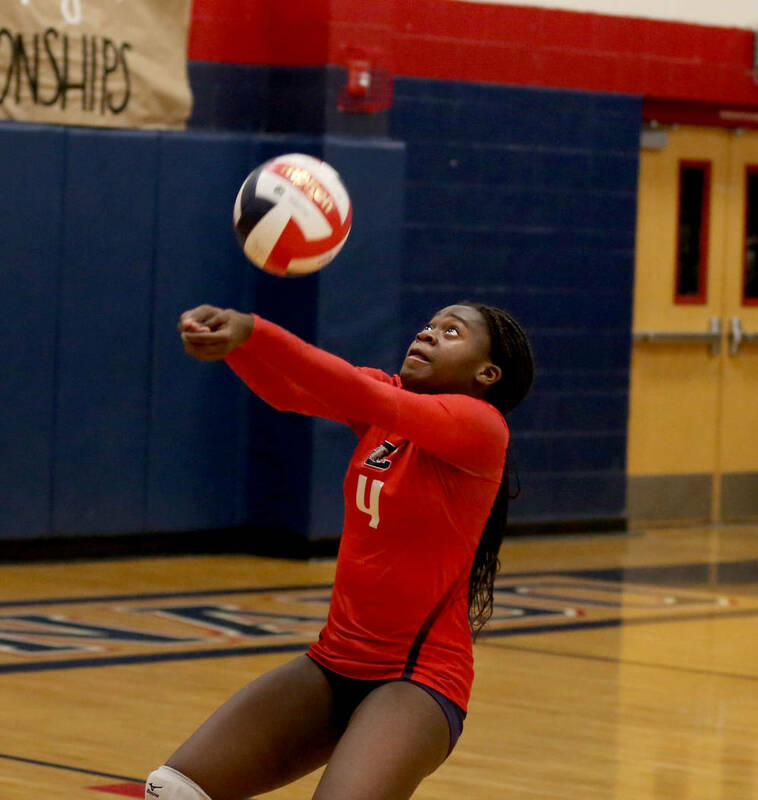 Riana Blount added seven kills, and Laynee Truscott had 13 assists and five digs for the Falcons (19-16). 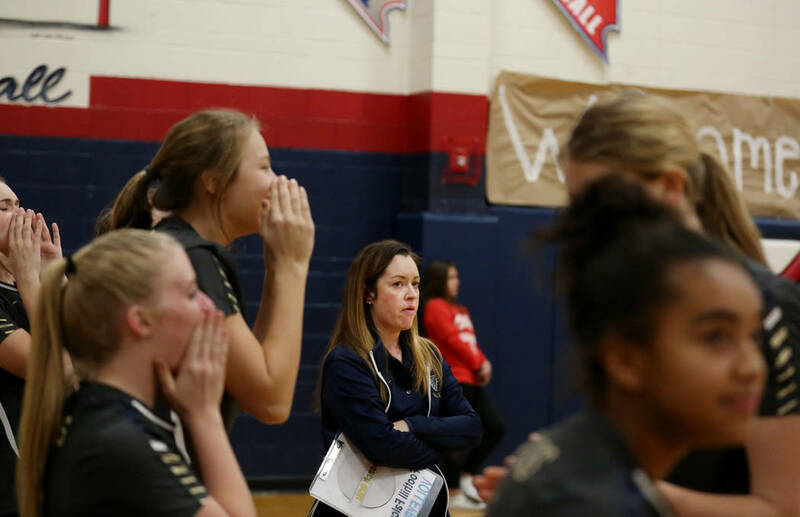 — Whittnee Nihipali had 19 kills and 27 digs to lead Shadow Ridge to a 25-18, 23-25, 25-17, 25-19 road win over Durango in a Class 4A Sunset Region semifinal. 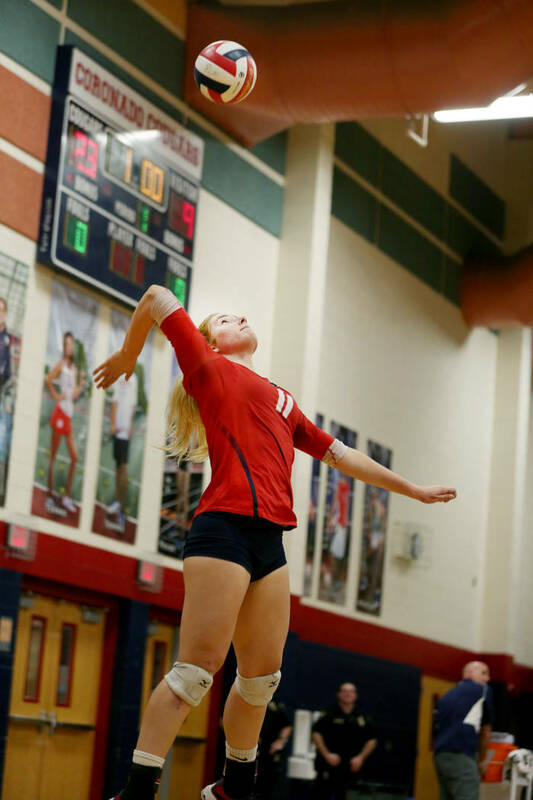 — Tommi Stockham had a game-high 21 kills in Bishop Gorman’s 26-24, 29-27, 23-25, 25-11 win over Palo Verde in a Class 4A Sunset Region semifinal at Durango. 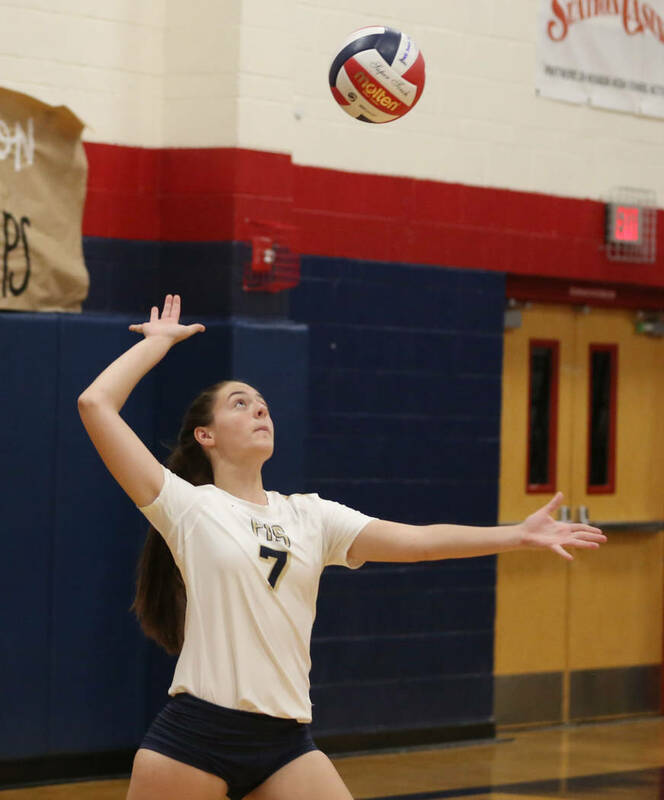 — Eden Whitmore had eight kills and two blocks in Moapa Valley’s 25-16, 25-7, 25-13 sweep of Cheyenne in a Class 3A Southern Region semifinal at Sunrise Mountain.